From the Fun With Vinyl Website: "I thought it would be nice to end June 2016 with a bang! On June 27th, Fun With Vinyl marked its 6th anniversary. And now, as June 2016 closes out, all of Prince’s commercially released U.S. 12 Inch singles are accessible. So, I thought, why not revisit the Fun With Vinyl collections and present the long awaited companion piece to the The Virtual U.S. 7 Inch Singles Box? Thus, today, I present to you The Virtual US 12 Inch Singles Box. Of course, in order to tie a new Fun With Vinyl collection in with the previous issues, we need beautiful artwork to make it complete. So, I reached out to squirrelgrease once again and to my delight, he agreed to participate in the project! The continuity of the collections was important to me and I am very happy with the results all the way around. Squirrelgrease’s graphic design talents have no bounds. So, as I kind of foreshadowed at the beginning of June, we now have available vinyl rips of all of Prince’s commercially released US 12 inch vinyl records from 1982-2006, from “Let’s Work” to “Black Sweat”. You, my dear friends, are now able to compile your own sets of The Virtual US 12 Inch Singles Box with squirrelgrease’s accompanying artwork. It’s just like the old days of the original Fun With Vinyl Collections. The uniqueness of this box is that all tracks are vinyl rips from my personal vinyl collection. Nothing “borrowed”, nothing ripped from digital, 100% vinyl sourced. 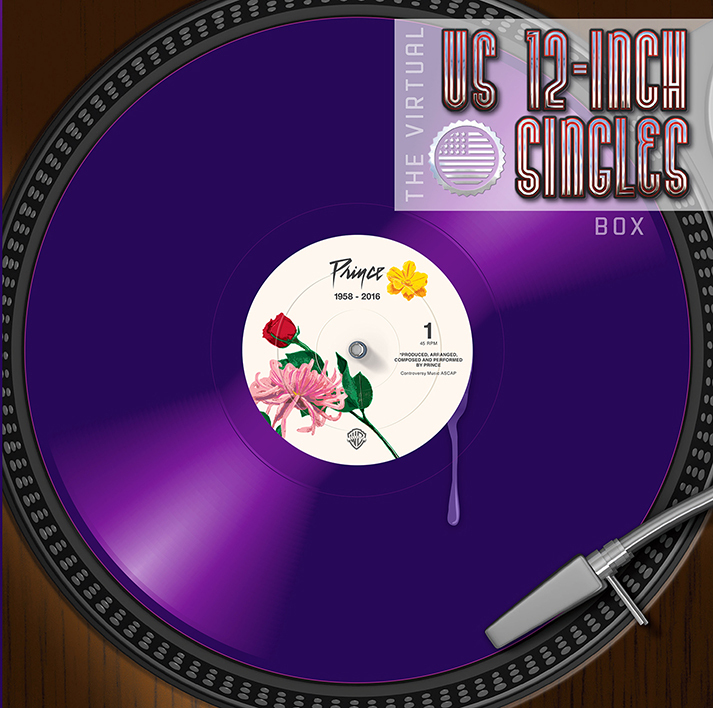 To qualify for The Virtual US 12 Inch Singles Box, the releases had to have been available for sale to the general public in the United States either through record stores, retail outlets or mail order and not designated as a promotional only item. P.S. : I’m interested to see how many of you will take the time to burn this entire set to CD and decorate the entire package with squirrelgrease’s art."